If you haven't been to Japan before, you will be surprised seeing many fairy tales, anime characters or anything including robots which can be designed to make them "alive" for the fans out there. To me, visiting to Japan is similar to traveling out of the dimension in order to see many incredible things and experience the "fantasy" lifestyle which can only be found in Japan (not even other parts of the world). 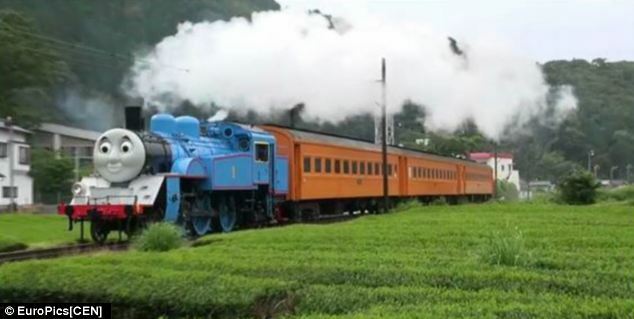 This is another example of how a normal train turns into the life-size moveable Thomas The Tank Engine to attract children and the fans to ride this train during the summer holidays. For decades Japan has been a world leader in the production of high-speed bullet trains. But it has now entered a different locomotive market altogether, after recreating a life-size Thomas The Tank Engine. The TV steam engine character is in fact so popular in Japan there are already two themeparks dedicated to him and his friends. But young fans of Thomas can now enjoy a venture on a real railway on the famous blue locomotive. 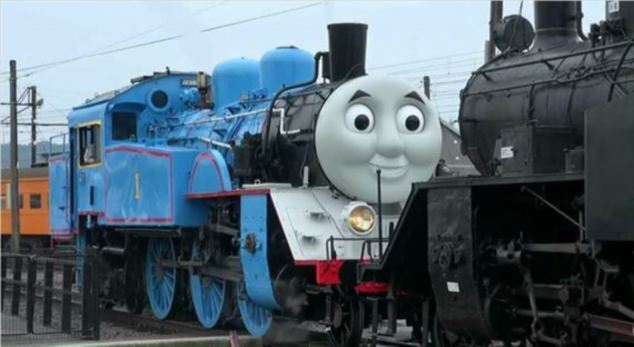 Shizuoka Prefecture's Oigawa Line, which created the life-size Thomas The Tank Engine, have been surprised at how popular the train has become. They have said that at times hundreds of children have turned up at the station to catch a glimpse of their hero as he stages test runs, and where possible to go for a ride. The railway line operators expect the Thomas The Tank Engine trips to be sold out in school breaks this summer. So far the move seems to have gone down well, although engineers initially had problems making sure the smoke coming from the locomotive was its trademark white colour, and not discoloured by the occasional black plume. The character of Thomas The Tank Engine first appeared in The Railway Series books by the Reverend Wilbert Awdry and his son Christopher. He became the lead character in the television series Thomas & Friends however after British writer and producer Britt Allcroft came across the books in 1979. Thanks for the great web log. It changed into very useful for me. maintain sharing such ideas in the future as properly. custom essay writing service This changed into really what i used to be seeking out, and i am satisfied to come here! thanks for sharing the statistics with us.